This dataset provides estimates with confidence intervals of the coverage of three-dose diphtheria, tetanus, and pertussis (DTP3) vaccination. 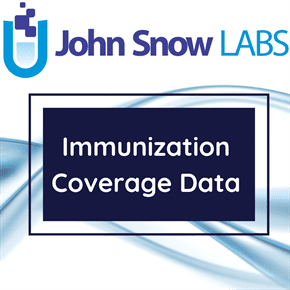 This dataset resulted from the study, Tracking progress towards universal childhood immunizations and the impact of global initiatives, published in the Lancet in 2008. The estimates take into account all publicly available data, including data from routine reporting systems and nationally representative surveys. Bidirectional distance-dependent regression (BDDR) was used to estimate trends in survey-based coverage in 193 countries during 1986–2006. Results of the study showed that DTP3 immunization coverage has improved more gradually through the years. Institute for Health Metrics and Evaluation. DTP3 Immunization Coverage by Country 1986-2006. Seattle, United States Institute for Health Metrics and Evaluation, 2008.